Bovine split leather, foil coated with two-tone/carbon effect. 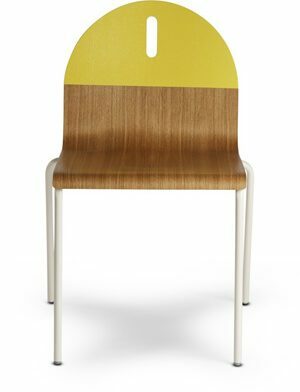 UNIT's design secret is always exposed: the narrow cabinet tubing that supports the chair's back and seat features is always visible. To the eye, the upholstery appears to be quite sparing, but turns out to be exceptionally comfortable thanks to the durable stretch covering. UNIT is stackable, even as a lounge chair.